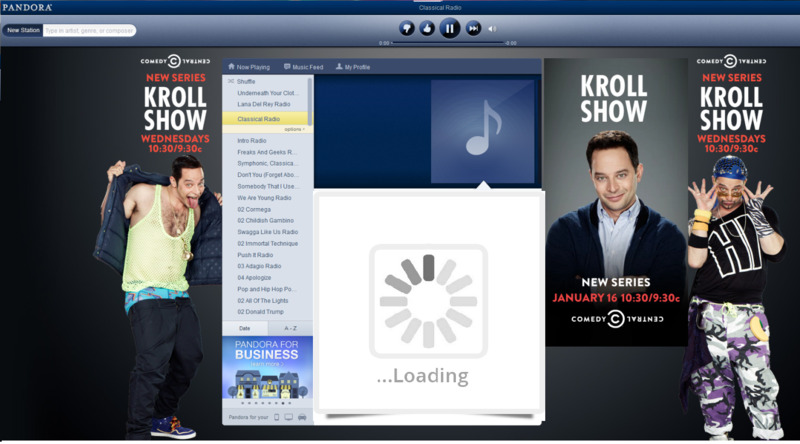 Pandora won't load on your browser Firefox or Chrome. Cannot connect to Pandora on your iPhone or Android devices. Pandora stops working after you upgrading to iOS 9.1. 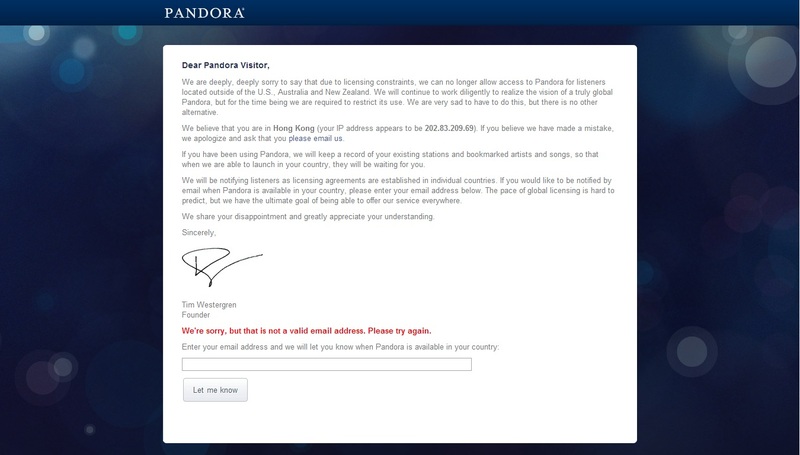 It is really frustrated when encounter problems of Pandora not working, since you do not want to lose your individual Pandora station with full of music you like. Luckily, here we pick up common issues on Pandora problems on computer or mobile devices, and give easy solutions to the problems. 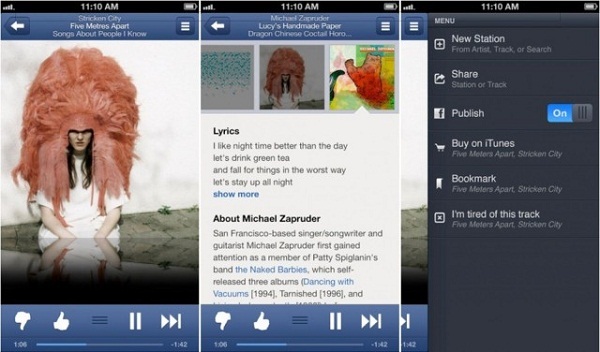 Read on and fix Pandora not working problems with ease. #1. Unable to access the Pandora website. This is perhaps the most common issue seen in relation to Pandora, on visiting the site many people get a ‘service unavailable’ message and cannot access any of Pandora’s functionality at all. 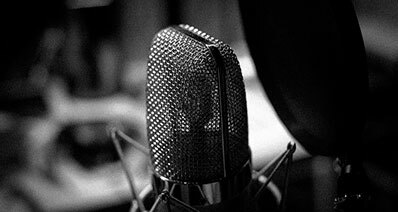 This stems from music licensing rights, because of these licensing restrictions, Pandora is only available to people situated in the United States, Australia and New Zealand. 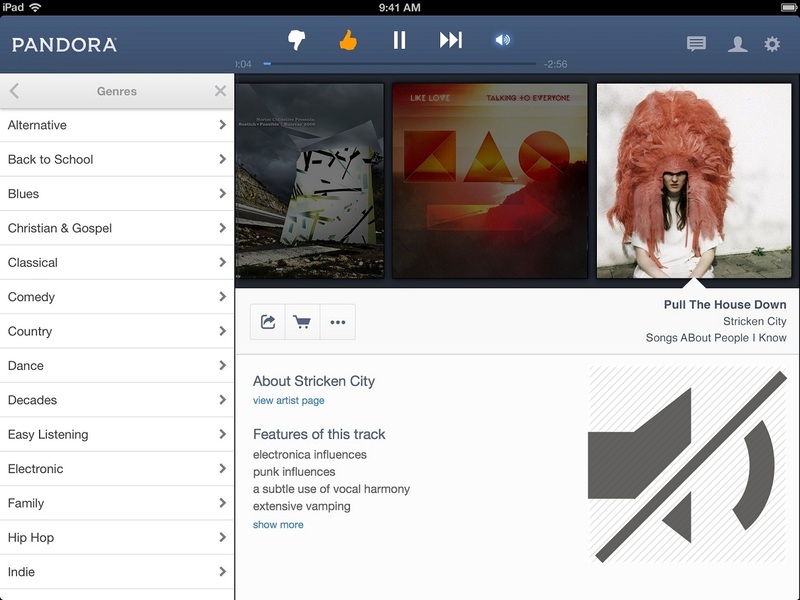 If you reside outside of these areas you cannot use the Pandora service in any form. You can sign up to be notified if availability in your location changes however, so you can be one of the first to sign up as the service becomes available in your country. #2. 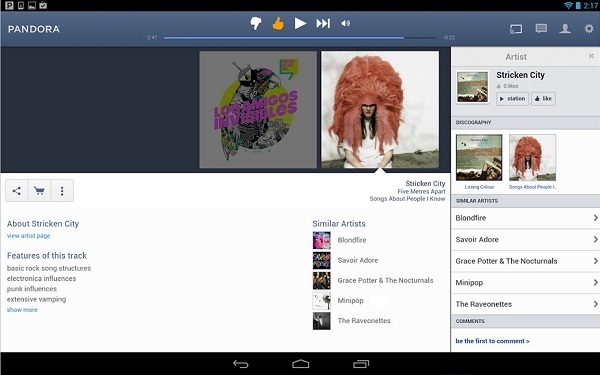 Pandora One service music stuttering. This can happen when listening to your music station, the audio starts and stops frequently and makes listening very difficult. This can often happen if you are connecting through a high traffic network, for instance at work, or when you are using your connection to download other things at the same time. The solution is fairly simple, the stuttering is caused by slow internet, with the data not getting to your computer fast enough. To reduce the amount of data needed you can switch the music quality to Normal, this requires less bandwidth to function correctly, and should alleviate the stuttering even on slow networks. This is achieved by going to the settings menu in your account, which is accessed by clicking your name (or email address) in the top right corner of the webpage. 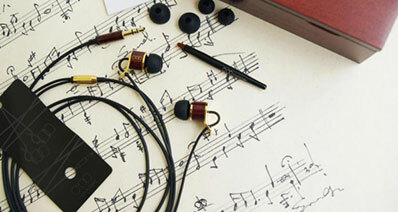 From here choose Settings > Audio Quality , then select Normal Quality and save the changes. 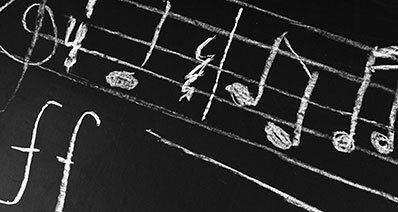 The changes will apply on the next played track. #3. Pandora account signing in problems. One of the common issues with accounts is the inability to stay signed in. This can cause havoc with station playing as you suddenly get signed out and find your station gone, and have to go back, sign in to your account and start playing again. The most likely cause of this is privacy and security extensions for browsers, with Better Privacy or Flashblock being the most common. For either of these or other similar add-ons and extensions the solution is to ensure Pandora is allowed within the extension. Another cause can be C Cleaner or ATF being ran to remove temporary files, or a security suite like Norton that deletes cookies on a regular basis. #4. Multiple songs are playing at the same time. This can happen when using the web version of Pandora, and is often caused by accidentally opening two tabs or windows of Pandora simultaneously. Here the solution is to check there is only one instance of Pandora open at any time, and also check for other tabs or windows that may have an audio component playing, from an advert or similar. #5. The Pandora page cannot be load in browser. This can happen with any of the popular web browsers, where Pandora fails to load properly, doesn’t function correctly and so on. The solution is the same regardless of browsing platform used, disable any ad blocking style add-on or extension and ensure cookies are allowed for Pandora. Check your Flash player is up to date and if there are still issues, check for updates for the browser and clear all cookies etc. 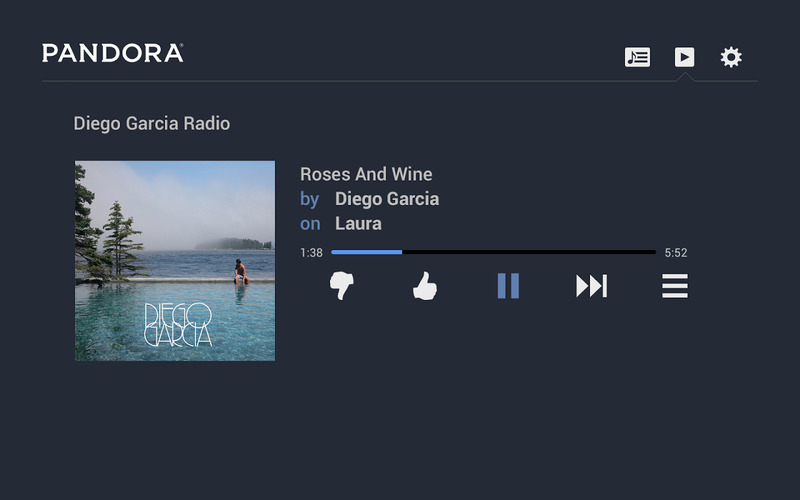 Pandora is available in app form for various platforms, here are some of the common problems found and how to remedy them. One of the biggest problems found with the iOS app is that the alarm fails to go off, or doesn’t use the station selected if it does. This is a peculiarity of how iOS functions, and for the alarm to work correctly on iOS the settings page MUST be left active. 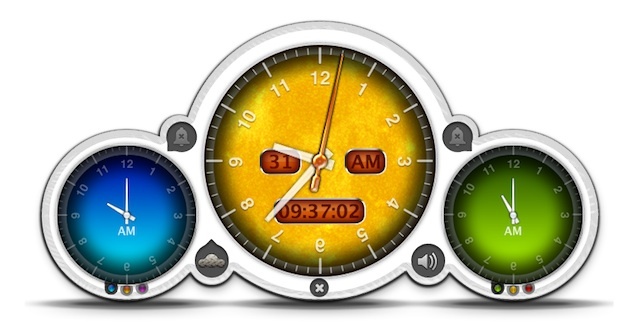 If, after setting the alarm, you return to the homepage, lock the phone or answer a call or text, the alarm will need to be selected again for it to function correctly. If you are having difficulties streaming music on any version of the Pandora app there are a few things you can try.First off, go to settings and switch to Normal Quality from High Quality, this requires less bandwidth and is a good place to start. If this does not fix the issue, make sure there is no battery saver or task management app interfering in the operation of Pandora. Finally, for Android versions, ensure the App is installed on the device memory itself rather than an external card, as this can cause latency issues in some cases. This can be a problem occasionally, the app simply refuses to open no matter what you do. The answer here is to uninstall it from your device, go to the play store and install the very latest one available. If you find there is no sound from your Pandora app, check that the volume on your device is turned up, and the music is playing rather than paused. This is more common with older versions of the Android app, the solution is to ensure that the battery saving feature of Android, which turn off sound and screen etc. after a set period of inactivity, are not enabled. 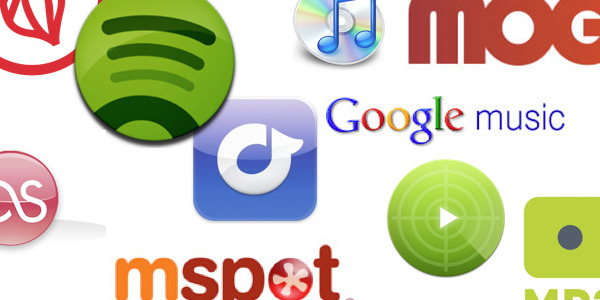 How-to > Streaming Music Services & Sites Tips > Having Problem with Pandora? Fix It Right Now!